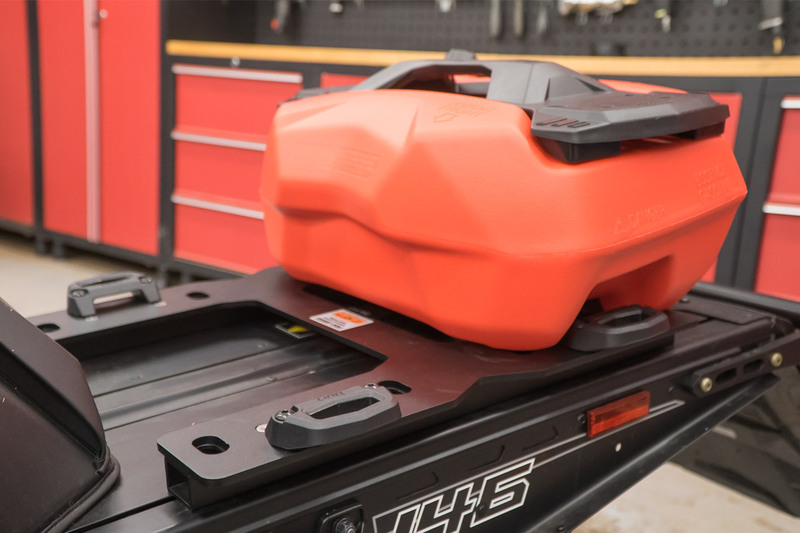 Ski-Doo's LinQ cargo attachment system has long been admired as the best way to connect cargo bags and accessories to a snowmobile. Up-North Technologies specializes in developing and marketing innovative powersport accessories and has answered the LinQ prayers of Arctic Cat, Polaris and Yamaha owners. The company's universal LinQ adapter brackets are available in Single (LMP-1) and Dual (LMP-2) position configurations for many current model snowmobiles. Each bracket system is comprised of 3-piece construction, with the quarter-inch Aluminum CNC laser-cut top plate secured to a pair of extruded aluminum tubes that quickly and easily fasten to the tunnel surface. All bracket systems go through a two-phase finishing process where each part is Yellow Chromate anodized and then finished off with a black powder coat finish. This not only ensures the toughest wear resistance, but the finely textured black finish also blends well with any tunnel and sled color. Visit upnorthtechnologies.com for more information along and to see the complete line of products.